Whether it's a relaxing vacation by the ocean, an active vacation full of kayaking, hiking and biking or a family getaway Boothbay Harbor has it all! Boothbay Harbor is a favorite destination for travelers looking for charm, a rich boating heritage, specialty shops, galleries and the largest fleet of excursion boats on the coast for viewing lighthouses, seals, islands, whales, puffins and the rocky coast. 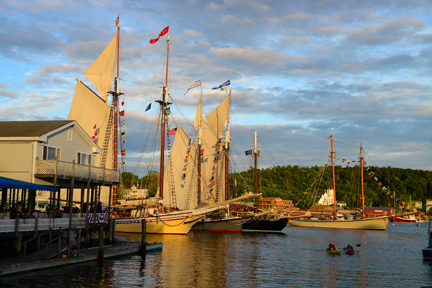 Simply put… one of the most beautiful harbors in Maine.